A radical look at Jane Austen as you’ve never seen her – as a lover of farce, comic theatre and juvenilia. 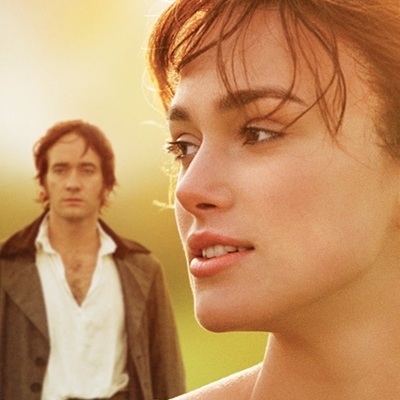 Byrne celebrates Britain’s favourite novelist 200 years after her death and explores why her books make such awesome movies, time after time. Growing up on the Cambridgeshire Fens, Will Millard never felt more at home than when he was out with his granddad on the riverbank, whiling away the day catching fish. As he grew older, his competitive urge to catch more and bigger fish led him away from that natural connection between him, his grandfather and the rivers of his home. That is, until the fateful day he let a record-breaking sand eel slip through his fingers and he knew that he had lost the magic of those days down by the river, and that something had to change. The Old Man and the Sand Eel is at its heart the story of three generations of men trying to figure out what it is to be a man, a father and a fisherman. Tim Stowe looks at the Severn Estuary and assesses the potential impact of the barrier. The exhilarating World music fusion of the guitar/percussion duo has excited audiences around Europe. Guitarist Jon Salfield and percussionist Simon Stanton have crafted a unique and dynamic repertoire combining Flamenco and Latin traditions, with elements of North African, Caribbean and jazz traditions, and a healthy dose of improvisation. 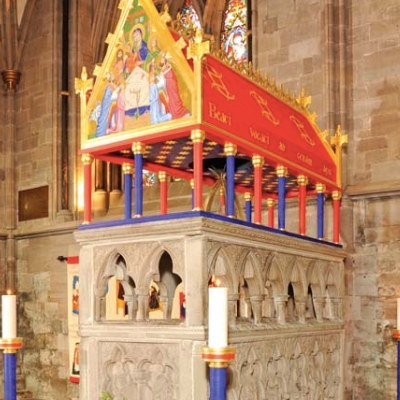 The Dean of Hereford Cathedral explores the history and present-day significance of the shrines to the saints that can be found in many cathedrals and abbeys, and in pilgrimage destinations. He traces their importance in the UK’s spiritual life from medieval times and considers how people and church buildings were influenced by shrines in their midst. He recounts their destruction during the Reformation and what was happening during the hidden years before the tide turned in both Anglican and Catholic churches in C19th. The Professor of Gerontology and Director of the Oxford Institute of Population Ageing looks at population trends to highlight the key issues facing us in the coming decades, including the demographic inertia in Europe, demographic dividend in Asia, high fertility and mortality in Africa, the youth bulge in the Middle East, and the balancing act of migration in the Americas. Harper analyses the global challenges we must plan for, such as the impact of climate change and urbanisation, and the difficulty of feeding 10 billion people. She considers ways in which we can prepare for and mitigate against these challenges. 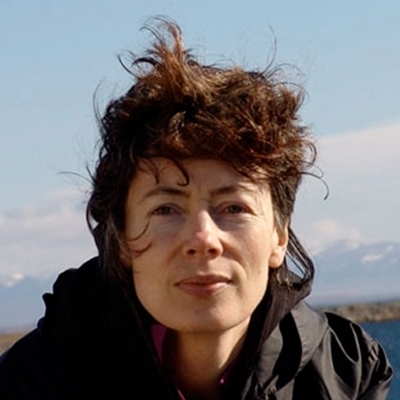 We celebrate the accession of the new National Poet of Wales, her prose anthology At The Source, and her forthcoming poetry collection A Recipe for Water. Chaired by Peter Florence. The novelist and screenwriter discusses his work, including About Schmidt and the Holocaust classic Wartime Lies. Parker’s hugely acclaimed debut Anatomy of a Soldier is the story of a man who is blown up, told by 45 objects involved in his story. Hanington’s A Dying Breed is a debut thriller that travels the shadowy corridors of the BBC, the perilous streets of Kabul and the dark chambers of Whitehall. 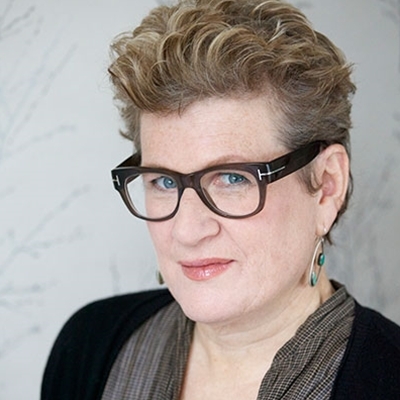 One of the finest writers for young adult readers, Meg Rosoff is best known for her novel How I Live Now, which won the Guardian Prize, the Printz Award and the Branford Boase Award, became an international bestseller and was then adapted for cinema. Her work is always layered, subtle and thought-provoking and her latest novel Picture Me Gone is one of her finest. Come and hear her speak about her writing life and what’s coming next. Can the UK Afford to Leave the EU? The UK voted to leave at the peak of its economic inequality. In hindsight this appears to have influenced the decision. Many British citizens are likely to be impoverished as a result. Those without citizenship already live in great fear. So, can we actually afford to walk out on this relationship? 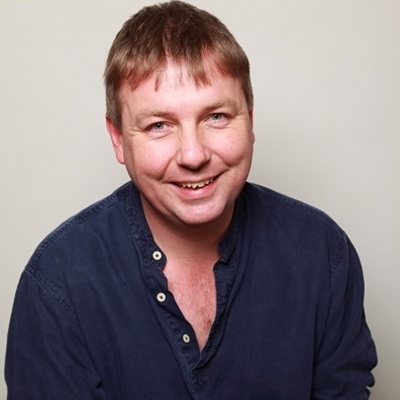 Dorling is Professor of Geography at the University of Oxford. 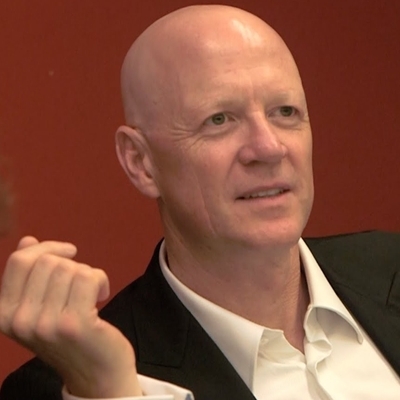 His books include Why Demography Matters, Inequality and the 1% and Population 10 Billion. Chaired by Tom Clark of Prospect magazine. A history and a celebration of the Welsh slate industry centred on Snowdonia, exploring all aspects, from the cultural to the technical, and from the home to the quarries. Dr Gwyn is the author of the Royal Commission’s latest publication, Welsh Slate: Archaeology and History of an Industry. Chaired by Christopher Catling, CEO of the Royal Commission on the Ancient and Historical Monuments of Wales. 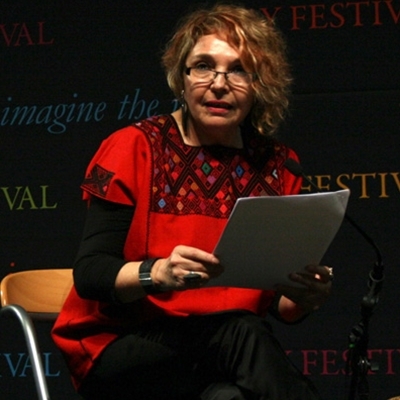 The Chilean anthropologist introduces the colonial history and culture of the Polynesian island, and the islanders’ relationship with food, language and the renowned stone sculptures. The two outstanding international publishers discuss their adventures in the book world. Calder co-founded Bloomsbury and the Brazilian lifest FLIP. Herralde at Anagrama is the most admired independent publisher in the Spanish-speaking world. They talk to Peter Florence. Share stories, songs and games with everyone’s favourite bunny, Miffy, making a rare appearance in Hay. 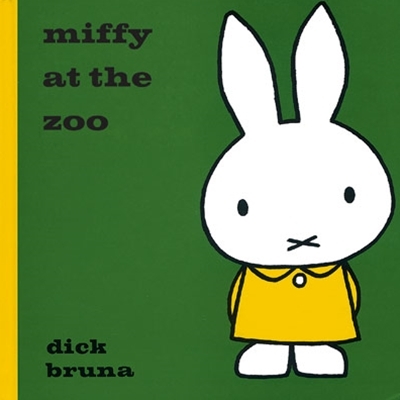 The Miffy books have sold over 85 million copies worldwide! Hattersley recommends Arnold Bennett's family saga The Old Wives' Tale. Hattersley's own family trilogy is The Maker's Mark, In that Quiet, and Skylark Song. Moggach chooses Anne Tyler's The Accidental Tourist. Moggach's new novel, Changing Babies published in July. Lane Ashfeldt discusses the pros and cons, and practicalities of raiding history books and family stories to create fiction. The short stories in Lane’s book SaltWater cover the century from 1918 to 2018. SaltWater was longlisted for the Frank O'Connor International Short Story Prize and the Edge Hill Prize. Lane talks to Sam Tranum, writer and editor, and member of the Liberties Press editorial team. Film-makers are often attracted to Shakespeare’s plays with their vivid characters, exciting stories and scope for new takes on familiar subjects. But ever since the pictures started talking, the language has been a challenge both in quality and quantity; there isn’t the need for so much dialogue in a medium where showing trumps telling. Jackson has been text consultant for several feature films – including all of Kenneth Branagh’s versions of Shakespeare’s plays – and many stage productions. His books include Shakespeare and the English-speaking Cinema, Shakespeare Films in the Making, and The Cambridge Companion to Shakespeare on Film. Natural resources like oil and minerals are the largest source of unaccountable power in the world. Petrocrats like Putin and the Saudis spend resource money on weapons and oppression; militants in Iraq and in the Congo spend resource money on radicalisation and ammunition. Resource-fuelled authoritarians and extremists present endless crises to the West and at home. And the source of their resource power is ultimately ordinary consumers, doing their everyday shopping at the filling station and the mall. 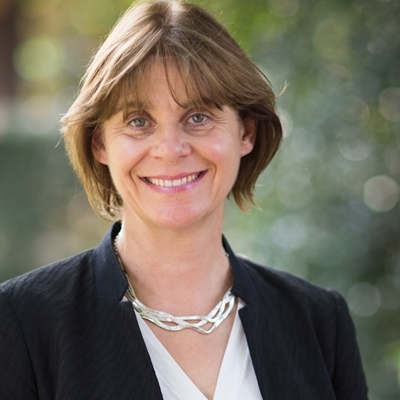 Wenar holds the Chair of Phliosophy and Law at King’s College, London. The story of the making of Adolf Hitler that we are all familiar with is the one Hitler himself wove in his 1924 trial, and then expanded upon in Mein Kampf. Weber strips away the layers of myth and fabrication in Hitler's own tale to tell the real story of his politicisation and radicalisation in post-First World War Munich. It is the gripping account of how an awkward and unemployed loner with virtually no recognisable leadership qualities and fluctuating political ideas turned into the charismatic, self-assured, virulently anti-Semitic leader with an all-or-nothing approach to politics with whom the world was soon to become tragically familiar. The WI is fondly thought of in terms of ‘jam and Jerusalem’, but its roots are intertwined with the women’s suffrage movement and the many campaigns that have sought to articulate the needs of women since the First World War. 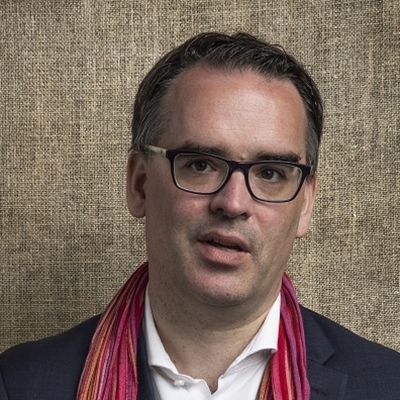 The Professor of Cultural History will explore the political and social initiatives that helped define the radical organisation. A lively, interactive session of play-songs and tales in English and Kiswahili. Be prepared to have too much fun! Darwin and Freud, it seems, took God out of the big picture and left us in a world determined by nature and overshadowed by mortality. In his new book Darwin's Worms the psychoanalyst and author of Monogamy, The Beast in the Nursery and On Flirtation considers how these giants of science felt about death, and develops a new understanding of ageing, loss and the art of transience.